Homegrown ride-hailing unicorn Ola announced on Tuesday that it will foray into a second international market by launching services in the UK, taking its turf war with US-headquartered Uber to another territory. In a statement, the Bhavish Aggarwal-led company said it had obtained licences to operates in South Wales and Greater Manchester. Ola will start services in South Wales over the coming month and is also working with local authorities across the UK to expand nationwide by the end of this year. Ola further said that it will become the only app in the British market to offer services across both private hire vehicles (PHVs) and black cabs. Black cabs are the traditional metered taxis in the UK market that have not been part of any app-based aggregator’s network before. Drivers of black cabs are required to sit for a number of exams and require thorough knowledge of routes before being deemed eligible to take up the job. Ola’s entry into the UK comes months after it drove into Australia in its first overseas foray. Ola currently operates in seven major cities in Australia, with its network comprising more than 40,000 drivers. 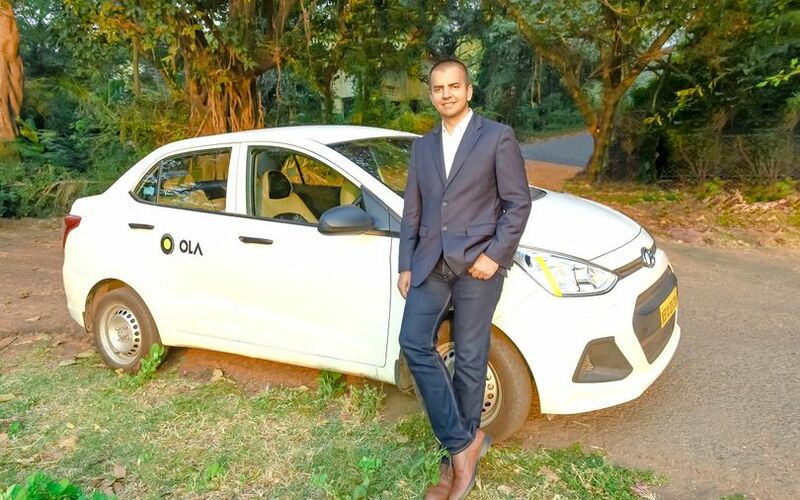 Ola, founded in 2011, clocks one billion rides each year globally, and has more than one million driver partners in over 110 cities, it said. Uber, Ola’s main rival in India, dominates the Australian market and will offer competition in Britain as well. Uber has been operational in the UK since 2012 but has run into regulatory hurdles over the past year. Authorities in London, the British capital, had last September refused to renew the San Francisco-headquartered firm’s licence over lapses in Uber’s approach to reporting serious criminal offences and conducting background checks on drivers. Uber then overhauled its policies and in June this year and received a reprieve when a court granted the firm a 15-month probationary licence. Ola may also face local competition in the form of Uber’s closest US rival, Lyft, which has been in talks to start services in London. Back in India, Ola and Uber have been burning cash for the past four or five years in a bid to outgun each other. After Ola’s lead investor, Japanese conglomerate SoftBank, became the largest investor in Uber following a large secondary share purchase last year, speculations were rife that Uber could eventually merge its India operations with Ola. However, Uber chief executive Dara Khosrowshahi has since said that the firm will double down on its investments in India.